Whether you’re hitting the road for vacation, work, or a family trip, it can be hard to stay healthy when you don’t have the luxury of your home kitchen. Instead of packing away a ton of bagged lunches or relying on gas station snacks and fast food, there are some easy options. With these easy, portable foods, you can stay healthy, full, and satisfied – no matter where you are! 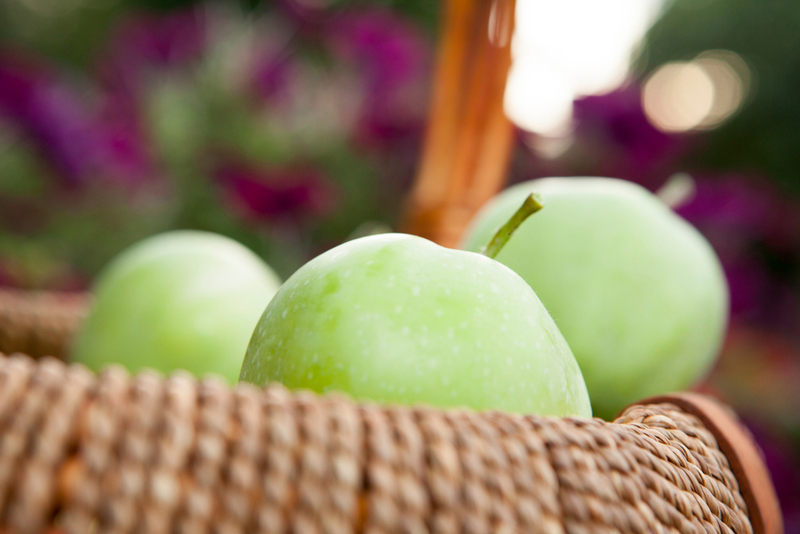 “An apple a day keeps the fast food away.” Okay, that might not be the exact saying, but it works for us! Apples are easy, portable, and last a long time (even if they get stuck in a hot car for hours). If you prefer apple slices, add a bit of lemon juice. This will keep them from browning and give you a little extra flavor. 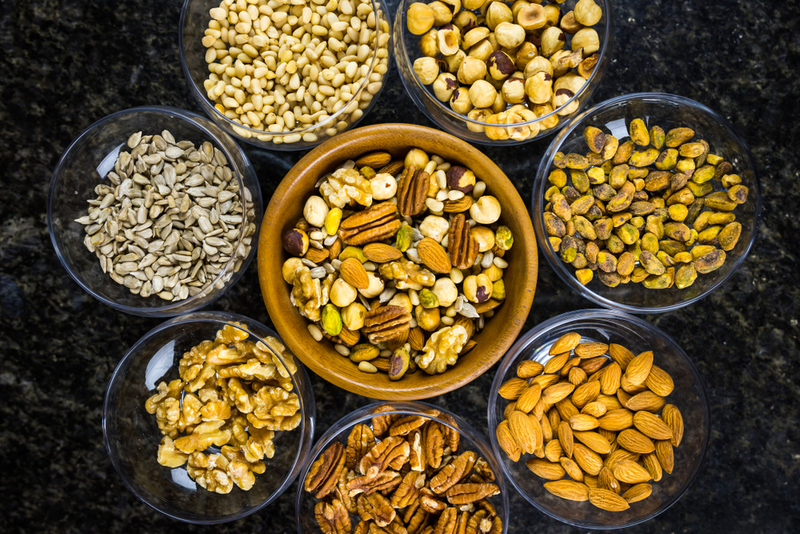 Nuts and seeds are the perfect snack for the road. Full of good fats and proteins, these will keep you full and energized (and less tempted by typical vacation food). 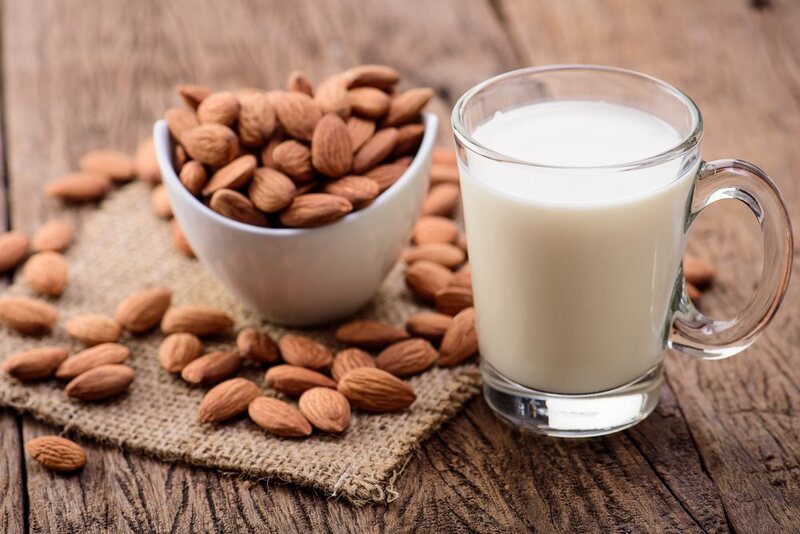 Almonds, walnuts, and pecans are some of our favorites and a mix of all three is super delicious. To make sure you don’t eat too many nuts in one serving, store an ounce of mixed nuts (optional: add a sprinkle of seeds) in half-sized sandwich bags. This will give you an appropriate portion of protein for snacking. Sometimes you can’t take a whole smoothie with you. Or you left your breakfast smoothie on the counter as you were rushing off the work (we’ve been there!). Either way, having a couple scoops of protein powder on hand can be a lifesaver. You can always stop at a coffee shop, ask for a cup, and fill it up with your milk of choice (We recommend that you buy a little something, just so you aren’t taking advantage of all their free milk options). Then, mix in your protein powder and – hooray! You’ve got a smoothie. 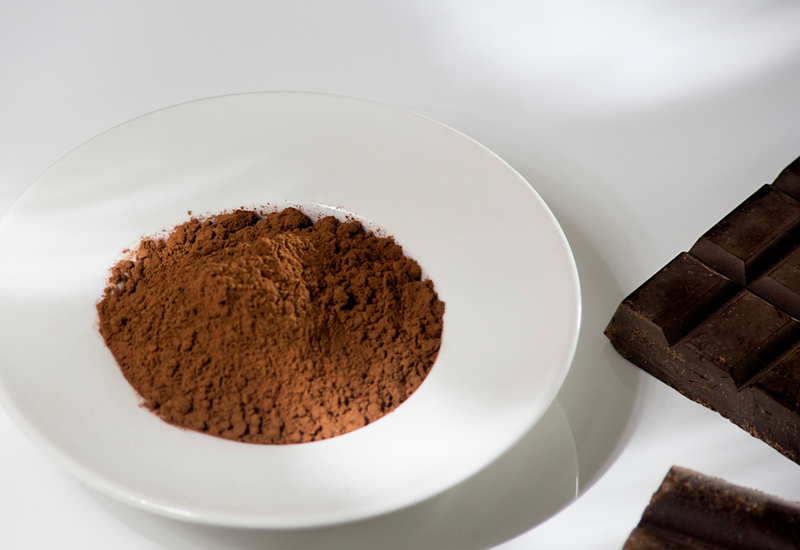 Even mixed with water, Spring of Life Protein Chocolate Powder tastes like a shake, so pour a few scoops in to a sandwich bag, and you’ve got an instant meal whenever you need it. This one takes a little bit of prep, but it’s worth it. Now, ordinary granola bars are full of hydrogenated oils, sugar, and processed ingredients. In other words, this so-called “healthy snack” is anything but. But when you make your own bars with whole, nutritious ingredients, granola bars are a great options for a meal on the go. 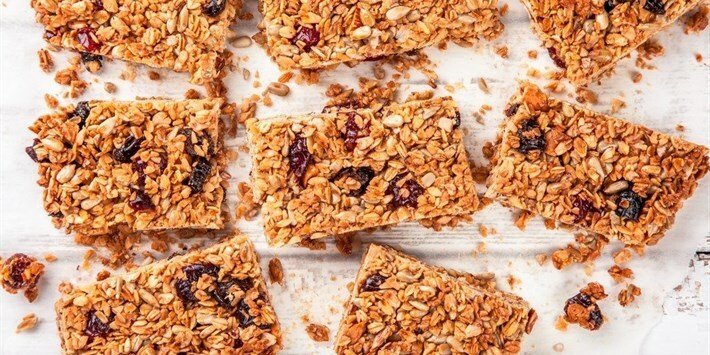 Try our Fruit and Nut Granola Bars recipe. 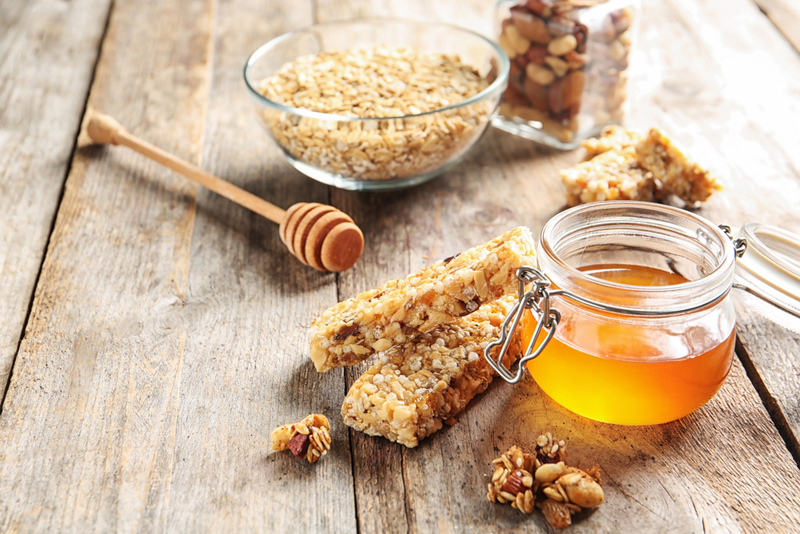 With oats, seeds, nuts, and just a touch of natural honey, these will keep you full and taste so much better than anything you’d find in a box. A perfect snack to stick in your purse for all those emergency snack situations. Preheat oven to 350ºF. Place oats on a parchment-lined baking sheet in oven for 15 minutes. Meanwhile, combine honey, almond butter, vanilla, butter, and sea salt in a saucepan and cook over medium heat, stirring constantly until well combined. Immediately pour over cooked oats. Add sunflower seeds, chopped almonds, peanuts, and dried fruit (we like to use unsweetened apricots and/or cranberries), and mix until well-coated. Reduce heat on stove to 300ºF. Press mixture evenly into greased baking pan (9" x 13"), and place in the oven for 25 minutes. Remove from oven and allow to cool completely (about an hour) before cutting into 2-inch squares. Make sure to store in AIR TIGHT containers for them to last about 2 weeks. A simple shift in perspective can truly change your life. Remember these 3 things to focus on your health rather than your weight and the pounds will melt off faster than ever before. Pizza... for breakfast? Yes! 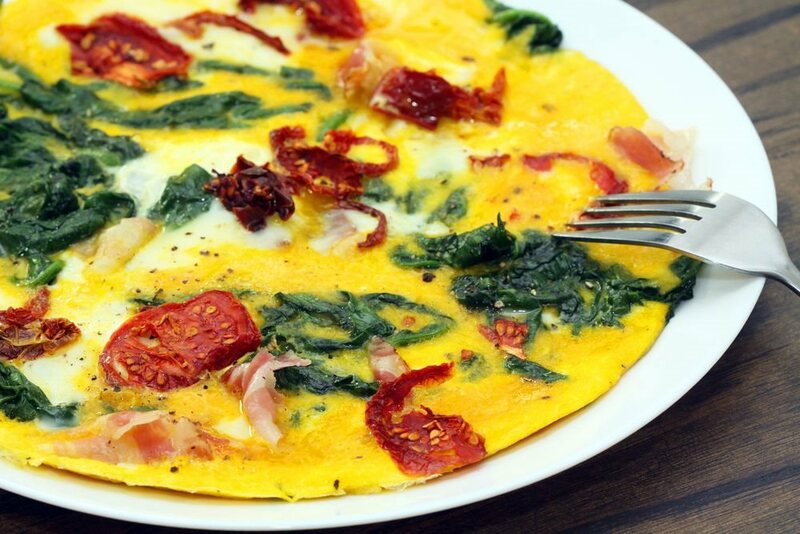 Made with cage-free eggs, nitrate-free bacon, organic veggies, and raw cheese.